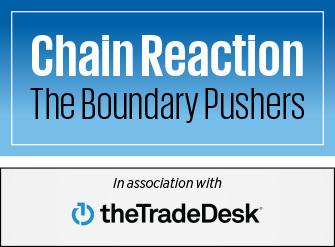 In association with The Trade Desk, we invite the biggest industry names to interview their boundary pushing peers - and pass on the baton, in an interview relay. Eleanor Kahn listens in as Karen Blackett interviews Tess Alps. Who are the industry's biggest boundary pushers, the ones who have really made a difference? And who do they most admire? In this series, produced in association with The Trade Desk, we invite the industry’s leading lights to interview and be interviewed. Each instalment sees a boundary pusher interviewing one of their peers – who then nominates their own interviewee in turn. 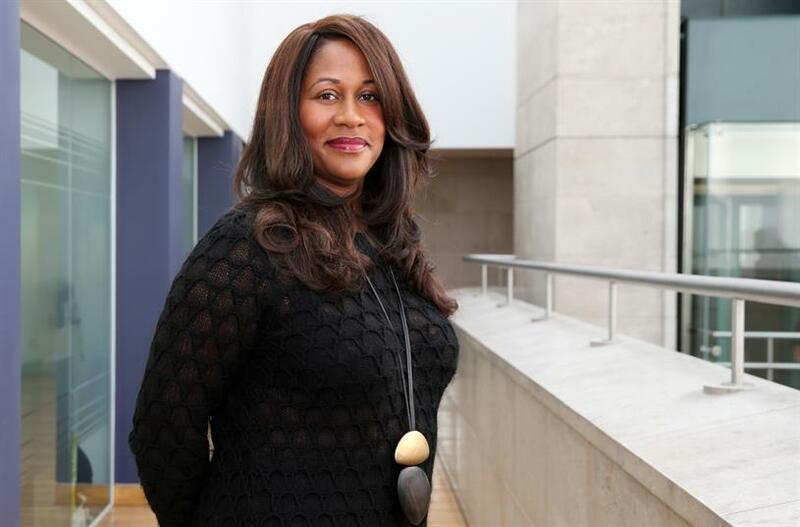 In the last instalment, Campaign kicked off the series by interviewing MediaCom UK chairman Karen Blackett. She’s selected Tess Alps, chair at Thinkbox, as her interviewee – in a wide-ranging discussion, Blackett quizzes Alps on championing women in the industry, technology in advertising and the future of programmatic TV. Karen Blackett (pictured, right): Since I entered the industry in the early ’90s, you have been a champion of media planning and the art of what we do – and a champion for women in the industry. Tess Alps: I began in 1977, and you had to fight against sexism then. In fact, next year I’ll have been in the industry 40 years. I hope to stay around in some shape or form. That’s the new ‘-ism’ I’ll be fighting: ageism. There are not many others over 60 still around and still enjoying it . KB: Did you feel that you could be an influence – a force for change when you first entered? TA: No. It took me ages because I did not want to be an influence. It’s on record that I’m here absolutely by accident. At the start, I was just doing a job and I was quite surprised to find I was still doing it five years later. It was only when I realised I liked the industry that I started to feel I wanted to be more in charge of it and help shape it. The moment when I realised advertising was an okay thing – and potentially a great thing – was when I saw the Guardian’s ad, Points of View, in 1986. I cried. In 30 seconds it made me understand the Guardian’s mission but also made me care about it. I realised everybody can use advertising and we can empower brands to turn advertising into a force for good. I have become slightly less of a hippy over the years, however. KB: So you were a hippy. Would you say that you were also ambitious? TA: There were few women in TV when I joined, but my boss was a woman, and she became the sales director – an amazing advance at the time. But she didn’t choose me as her Deputy and I was really shocked. My sense of justice and fair play was in overdrive. She said, "I am really sorry Tess, but we cannot have two women running things." KB: Do you think that would happen now? TA: I hope not. Certainly nobody would ever say it out loud, would they? There are now so many examples of successful companies run by brilliant women. But I suppose that was the moment I realised that I wanted to get on. Women tend to want to be liked too much. At that moment I realised that when it came down to it, I could fight for something. I am unbelievably competitive. My husband makes fun of me because I grow vegetables that we don’t even like, just so that I can enter that category in our local garden show. But I’m also quite idealistic – which is why I left TV and joined PHD. KB: I really remember PHD forming because it was so new and different. Zenith had just been created and the narrative was all about size and leverage and buying. TA: PHD was a counter-cultural movement, which appealed to me massively. I was enthused by their vision of a planning-led media agency and I still believe in that vision. KB: You had 13 years at PHD and you started some innovative things – including a content division, which some agencies are only just starting to put together now. TA: I know. Possibly a bit too early? The world I was imagining has truly arrived now, where brands need to make their own content. KB: I think you are extremely important in the industry as someone who has always told women to embrace technology and embrace change. TA: Yes, that’s the message. One of the things I don’t like is being put in a box, a sort of binary thing where either you blindly love the internet and technology or you’re seen to be against it. That’s just madness. I absolutely love technology, but I also love humanity! KB: Do agencies really have an appetite for a tech future? Are they embracing it or begrudgingly going along with it? TA: I think most agencies are embracing it, possibly a bit unquestioningly. And I think some of the agency people who are resentful about it are the people who are having their core skills ignored. Insight skills, interpretative skills and creative skills are being rather sidelined and we need to get back to a better equilibrium. There is a bigger role for programmatic in all media that’s to do with intelligent use of data and interpretation of that, to make advertising better – for brands and people. KB: In your view, when will programmatic TV buying really happen? TA: It depends what you mean by programmatic. People associate programmatic with real time bidding for the low value end of the market; in its purer sense programmatic is nothing more or less than using software to automate some processes. Who wouldn’t want the automation of boring tasks? What we don’t want is automation leading to commoditisation. KB: Someone described programmatic as turning sawdust into MDF; you take all these tiny flecks of "media sawdust" that nobody would want to buy in that state, and programmatic glues it all together and makes something that is quite useful. TA: But that’s just the bottom end of the market, isn’t it? I think there is a bigger role for programmatic in all media that’s to do with intelligent use of data and interpretation of that to make advertising better – for brands and for people. TV is already programmatic in parts and will embrace the best aspects of it when technology allows. Programmatic should stop me seeing an ad 20 times, or at least serve me a different piece of content each time. So there are all sorts of golden possibilities in theory out there, but at the moment we are not doing it terribly well online. TV needs to learn from that. We need to be developing hybrid people at schools; who are technologists, but also creative and intuitive. KB: Do you think, with an increase in the amount of tech that we use as part of the industry, that we’re going to have to look for future talent in different places? TA: Because we had more applicants than we had places for, we eventually just made our own lives easier by saying they’ve got to be graduates. Actually, we probably missed out on some brilliant people by doing that. Now we can’t afford to do that because we need all sorts of different skills. But education has to change as well: we need to be developing hybrid people at schools; who are technologists, but also creative and intuitive. KB: I think that what you and Lindsey Clay and the team here at Thinkbox have done in terms of getting the broadcasters to play together is exceptional. I genuinely do not know many people that could have done that. TA: We are on a mission and that makes it easier. We learned some things from Douglas McArthur and the RAB who did a great job before us. I know TV companies are believed to be hideously competitive but the truth is we couldn’t have a more supportive and unified board when they walk through our doors. They understand that you have to start by working together to make the case for TV advertising at the top level – and increasingly why you should you advertise at all. Unless you win that first argument – for advertising at all – the rest is really academic.